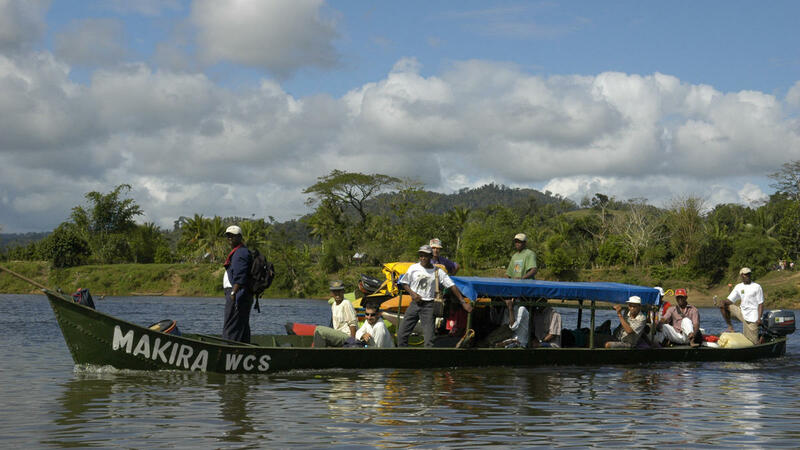 At WCS, we help secure the rights of Indigenous Peoples and local communities, because their livelihoods, wellbeing, and cultural identities most directly depend on the sustainable use of natural resources, in the wild landscapes and seascapes where we work. Therefore, they are often our best partners and the strongest advocates for conservation. As an organization dedicated to conserving the world’s remaining wild places, WCS has long recognized that the fates of these places are inextricably bound to the fates of the people who call them home. Wild places are often understood to be places where humans are absent; however, this is not generally the case. Indeed, many wild places have been profoundly shaped by their human inhabitants, and exist in the form that we know them thanks to effective stewardship by the people who most directly depend on them. Clarity about rights is essential for effective governance of the areas we seek to conserve. Too often, we have witnessed the appropriation and subsequent destruction of wild places, as the outcomes of encroachment and land-grabbing for mines, farms, ranches, plantations, oil fields, roads, and dams. Frequently, lack of recognition of, or respect for, the rights of Indigenous Peoples and local communities living in these places has been a factor allowing such expropriation to occur with little, or no, public discussion, just compensation or consideration of the values that are being sacrificed. Climate resilient strongholds of biodiversity. Sources of critical ecosystem services like provision of food and clean water and regulation of temperature and rainfall. The material basis of the identity and prosperity of the people who live there. While our focus has been on conservation, when biodiversity and ecosystem functions are lost to conservation they are also lost to the people that have historically depended on them for livelihoods and a cultural sense of self. A central element in our strategy for conserving wild lands is building effective partnerships with indigenous and traditional peoples and local communities to secure recognition of, and effectively exercise, their land and resource rights. These partnerships are a fundamental source of our legitimacy and help ensure continuing support for our efforts. They also allow indigenous and traditional peoples and local communities to continue, or resume, roles they have historically played as frontline stewards of wild lands that are critical elements of our global patrimony. Our work together ensures that our local partners have the means to live in ways they find dignified and meaningful, while their sustainable use of their lands and waters generate revenues that allow them to invest in the integrity of their territories, which are vital to these people and their families, as well as the global community, now and in the future. A successful partnership results from clear and honest communications about our respective interests and goals. For our part, while we are committed to conserving wildlife, we are also committed to ensuring that the costs of conservation do not unjustly burden the people who live in the places that wildlife inhabits, and we are clear that any allocation of land and resources that deprives rights holders of sustainable use is illegitimate and unethical. The Great Ruaha River in Tanzania is a mere 132 miles long but it's the source of roughly 50% of Tanzania's electricity, courtesy of the Mtera and Kidatu hydro-dams, which provide 20 million Tanzanians with water for their households, livestock, and farms. The river is also vital to the wildlife and growing tourism industry in Ruaha National Park. For the 21 villages and over 56,000 people of the Pawaga-Idodi communities, the river, its water, and the wildlife it supports are the foundation of their wellbeing and cultural identities. Since 2004, WCS Tanzania has been working with MBOMIPA, the community organization that represents the Pawaga-Idodi villages that are home to Hehe, Gogo, Bena, Kinga Kosisamba, Maasai, Barabaig, Nang'ati, and Sukuma peoples. MBOMIPA ("Matumizi Bora ya Malihai Idodi na Pawaga" is Swahili for Sustainable Use of Wildlife Resources in Idodi and Pawaga) asked WCS to help it to secure its legitimate authority to manage wildlife and resource use within its Wildlife Management Area (WMA), which borders the national park. Their WMA, covering 298 sq. miles, was legally gazetted in 2007, and the process has been used as a model and replicated in other regions. Since then, WCS has helped three other communities to secure legal recognition of their management authority over the WAGA, UMEMARUA, and Mpimbwe WMAs. In 2014, MBOMIPA won a prestigious Equator Prize in recognition of its innovation and leadership in sustainable land management within its WMA. The world’s coastal zones are among the most diverse areas of the planet, in terms of both the ecosystems and species found there. One outcome of this diversity is that coastal zones are also the source of a wide range of ecosystem functions that are critically important for humans, including food from fish, storm protection, building materials, and medicines. They also provide the material basis for the cultural identities of coastal peoples. Coastal ecosystems are especially important to people living in developing countries, who depend directly on them for food security, income, and employment. 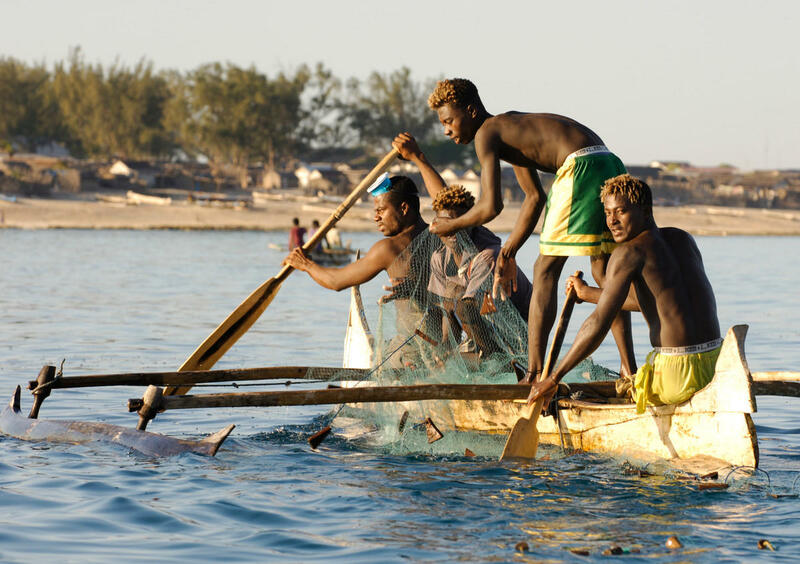 Looking only at the role of coastal fisheries and food production, somewhere between 660 and 820 million people, 10-12% of the world’s population, obtain their livelihoods from fisheries and aquaculture. If we look at capture fisheries globally, 97% of the people working in them are from developing countries, and 90% are employed in small-scale fisheries. Coastal resources are especially important to Indigenous Peoples living in these areas. Globally, there are approximately 27 million Indigenous Peoples living in coastal regions, distributed across some 1,900 communities in 87 countries. Coastal Indigenous Peoples consume about 2.1 million tons of seafood annually or about 2% of the global catch. Per capita seafood consumption is about 15 times higher for coastal Indigenous Peoples than for the non-indigenous populations of the countries in which they live. Despite their importance, coastal ecosystems are threatened by overfishing, habitat destruction, and pollution. Combined, these factors are the reason the majority of global fisheries are at or near their limits for fish harvesting. This has important medium- and long-term implications for all of us, but immediately, severely impacts the wellbeing of coastal peoples in developing countries, especially coastal Indigenous Peoples. Efforts to manage coastal resources generally, and fisheries in particular, have proven challenging because traditional rights over what has historically been common property resources, shared by local communities, are largely unrecognized, and outsiders with no legitimate claims are able to plunder a community’s fisheries resources. Local people find their historic access to coastal resources undermined, even as they are denied the authority to prevent the taking of their resources by outsiders. The recognition and exercise of common property rights are a critical challenge and pathway for conserving coastal ecosystems and ensuring the quality of life of people who depend directly on them. As Robert Pomeroy has observed, “In many parts of the world, rights to common property are all that separate the poor from destitution,” because recognizing and exercising effective community management of their coastal reef fisheries is the only feasible way of meeting local demand for fish and avoiding the collapse of fish stocks. WCS believes that that the key to managing coastal areas successfully is working in partnership with local people to build and strengthen the governance systems they use to decide and enforce who has access to their marine resources. Building on our work in Melanesia, we have made substantial long-term commitments to support the creation and strengthening of Locally Managed Marine Areas (LMMAs) along critical coastlines around the world, including in Beringia, coastal Patagonia, along the Atlantic coast of Central America, the Gulf of Guinea, and the Western Indian Ocean. Our efforts have involved supporting local people to win recognition of rights to manage common property, and then working with them to govern the areas under their jurisdiction effectively, by applying traditional knowledge to coastal resource use, and building the technical and administrative capacity to respond to large-scale modern threats and take advantage of new opportunities. We have also assisted local partners to come together with relevant government agencies, to (1) create networks of LMMAs that are biologically and socio-politically connected, and (2) influence national policies to support coastal peoples in securing and exercising rights to coastal resources.